Park your car at this award-winning, secured car park and simply catch a free transfer bus to the terminal - it's that simple! 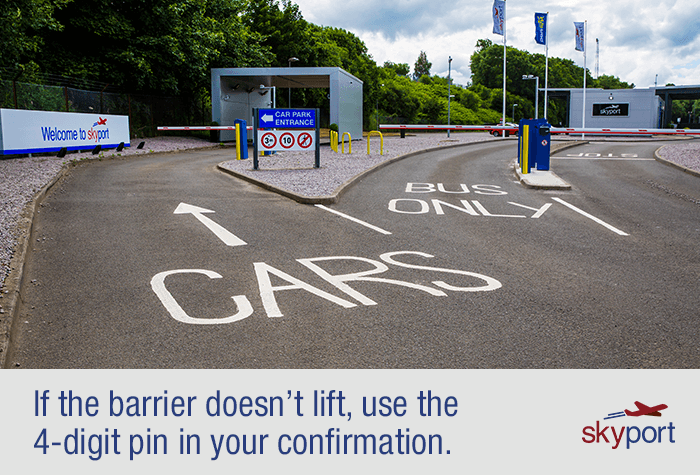 With license plate recognition technology, you only need to drive into the car park and the barrier will raise for you. 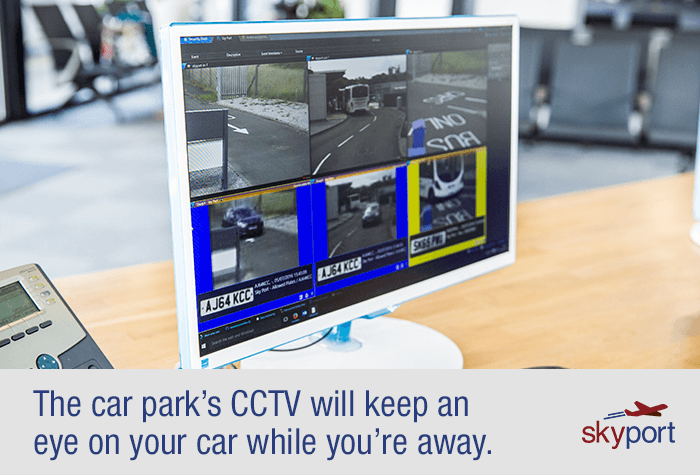 The perimeter fencing, CCTV and 24 hour manned security will reassure you that your car is in safe hands while you enjoy your holiday, so why wait? Our customers rated Skyport on average 9/10 (1178 reviews). 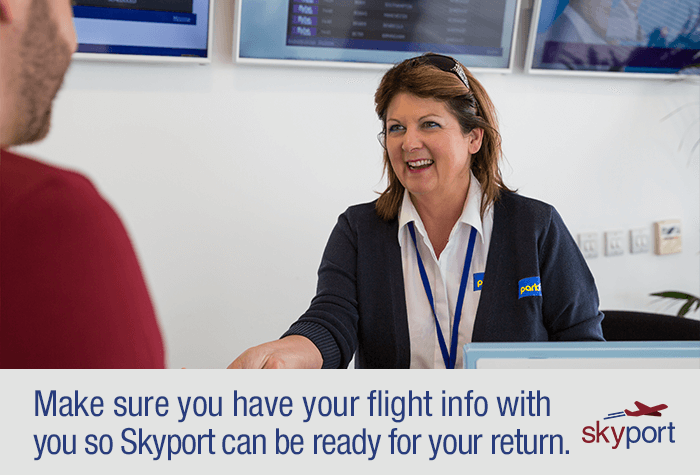 Read Skyport reviews. Easy parking for an easy price - park your own car and keep your keys. Skyport is the swanky new car park you wish youd known about ages ago. 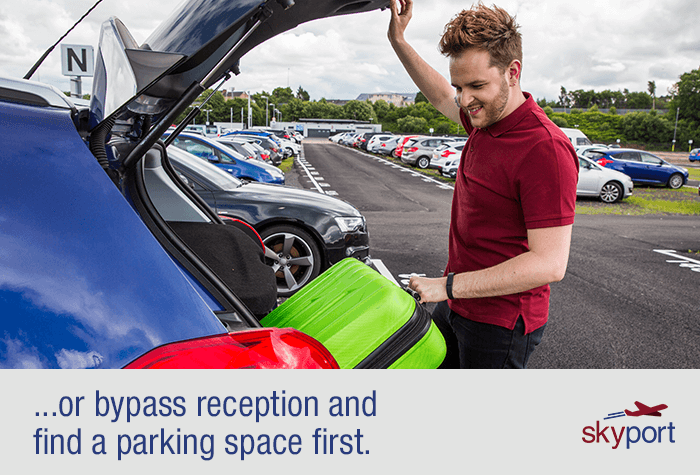 This swift and simple car park gives you total control and plenty of comforts. It has showers, toilets, baby-changing facilities and 24-hour transfers to the airport included in the price. When you get to the car park, drive up to the barrier and itll read your number plate and let you in. 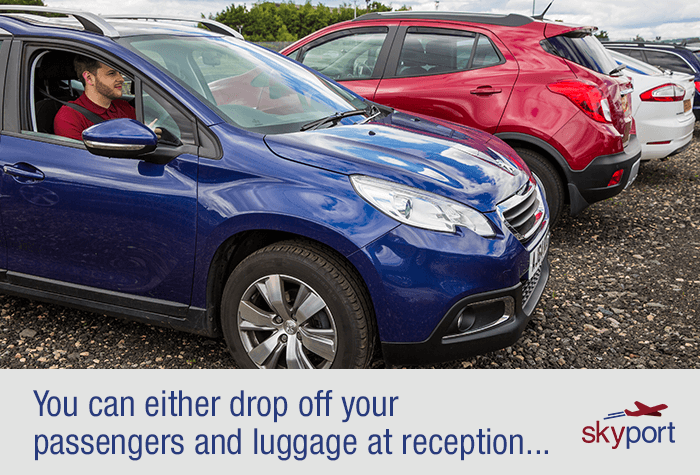 Then, you can either park your car in the rear car park, unload your bags and walk to reception to request your transfer to the airport, or you can pull up in a bay outside reception, drop off passengers and luggage to request your transfer and then park the car for a bit of a time-saver! 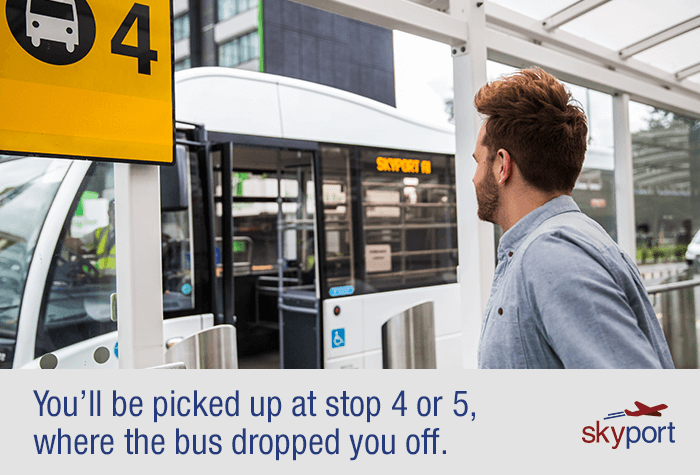 The transfer bus runs when needed, takes 5 minutes and is included in the price. 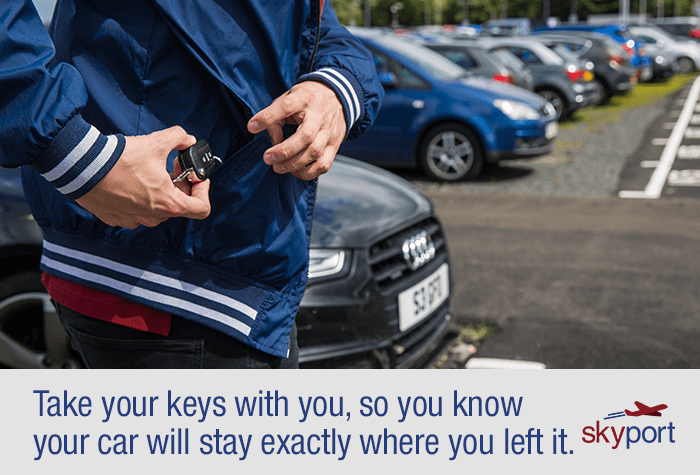 While youre away, your car will stay exactly where you left it in the car park. 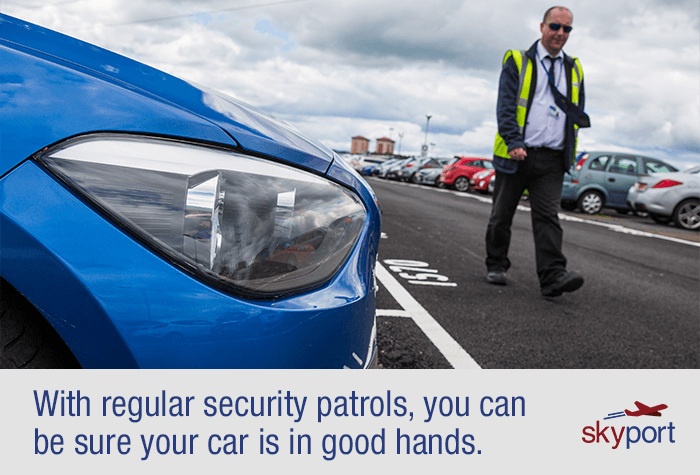 Skyport has CCTV, a high fence and floodlights so you can rest assured your car is being looked after. Once youve landed back at Glasgow airport and are through security, call the car park to let them know you're coming and theyll send the bus to pick you up from bus stop 4 or 5. 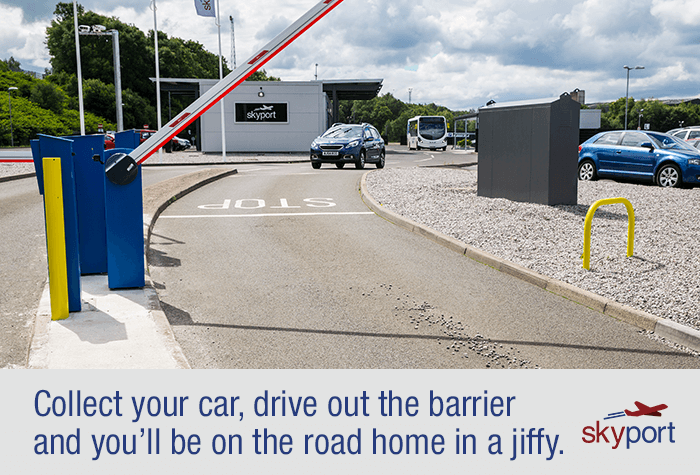 When you get back to the car park, simply get in your car and drive through the barrier. Youll be on the road home in no time. 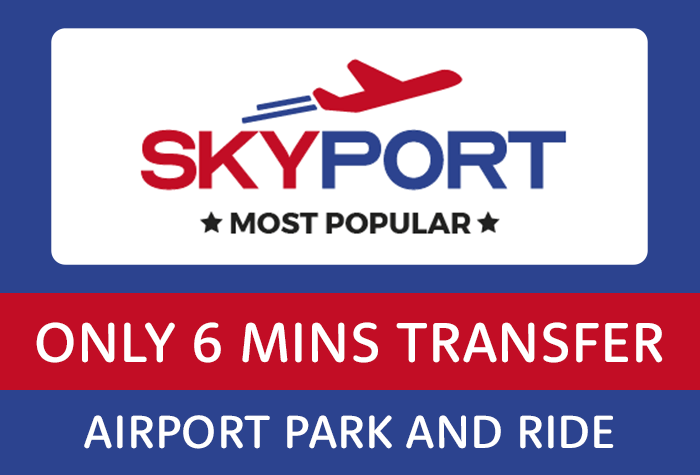 Book Skyport with us today for a speedy car park that puts you in control. Whats more, when you book with us, youre guaranteed the best price available. If you have any problems, just press the intercom button and quote the four-digit code printed on your confirmation. Disabled facilities - The car park caters for disabled customers, so if you need special facilities, call us and one of our team will contact the car park to make the arrangements for you. The sign at the entrance says to go to reception first to request a transfer while you park your car, but you don't have to do this. It's just a timesaving feature that can be useful if you're in a group. 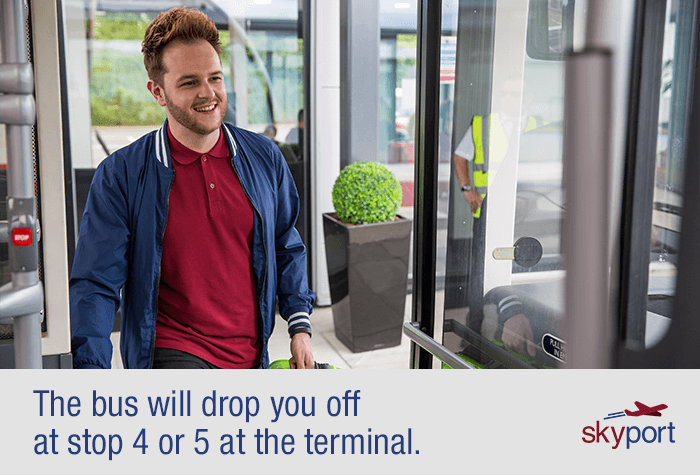 Providing your flight number on booking means that the car park will know when to expect your return from holiday and have a transfer bus ready and waiting for your call. Buses are used between different car parks and may have a lot signs, so it may not always be obvious that your bus has arrived at the terminal, but just ask; theyre a nice bunch. You can catch a bus to the airport. It runs when needed, takes 5 minutes and is included in the price.